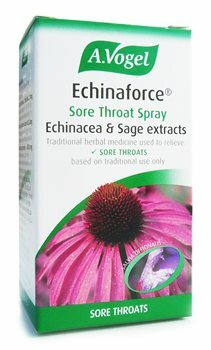 Echinaforce Sore Throat Spray is a traditional herbal medicinal product used to relieve sore throats associated with coughs, colds and flu. This is based on traditional use only. 2 sprays six to ten times daily. Not for use in children or hose under 18. Do not take if you are allergic to any of the ingredients or plants of the daisy family. This is my secret weapon against any sick bug. Since finding this, I strait up dont get sick anymore. It really works. ( Which is probably why you cant buy it in the U.S. anymore. ) Fast and hassle free shipping as well.